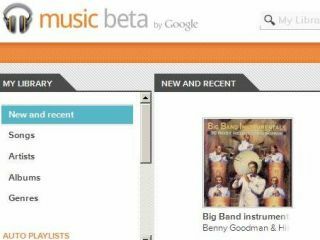 Songs purchased from the forthcoming Google Music store will be available to share with friends, according to reports. Business Insider says this is the big "twist" referred to by Android's Andy Rubin, when he spoke of the iTunes-bating service this week in Hong Kong. The report claims that users will be able to share songs bought from Google Music with friends, who can then listen to the tracks a limited number of times, or for a limited time period, for free. BI's source says that it's likely that you can send your pals an email, offering them access to your music locker. The sharing privileges will cost Google a fortune in licensing fees according to the report. It is also thought that Google Music users will be able to "pin" songs to their mobile devices for offline listening in the same way that the Spotify Premium apps allow songs to be stored. Google Music is expected to mimic the iTunes and Amazon MP3 stores in offering straight pay-per-download music, rather than a subscription like Spotify. The store is expected to launch before the year is out, with the latest reports suggesting a November outing.